This is the best representative of Tannat’s adaptation to the cool high altitude terroirs of Samaipata. Deep purple colored Tannat, with intense varietal aromas reminiscent of ripe fruits such as dark cherries and blackberries. It is clearly oak-free. In the mouth, it is clean with medium-high acidity which heightens the varietal flavors. 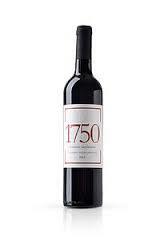 It has a high alcohol level, nice astringency, and taste of ripe blackberries and other dark fruits. As it is characteristic of Tannat the tannins are strong, but in a more subtle manner than in other terroirs, thus giving 1750 – Tannat a unique finesse. The cool summers of the rocky slopes at about 1800 meters allow for the grapes to achieve full phenolic ripeness with a stark combination of acidity, astringency and alcohol levels that make this wine a great exponent of Tannat’s adaptation to Samaipata.